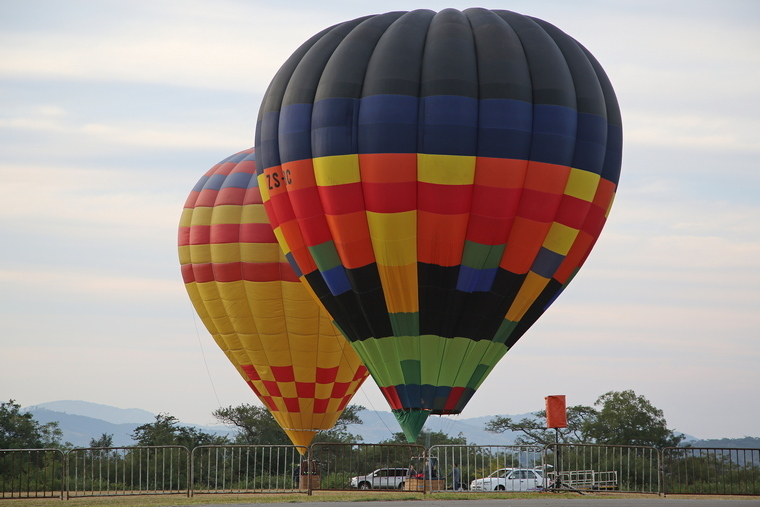 Every year the Kishugu Lowveld Airshow strives to be bigger and better in their offering and every year they succeed. 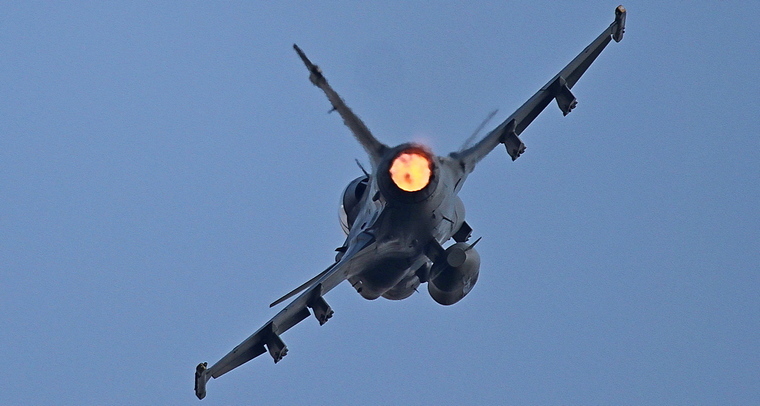 That is what has made the show one of the 'not to be missed' events on the aviation calendar. 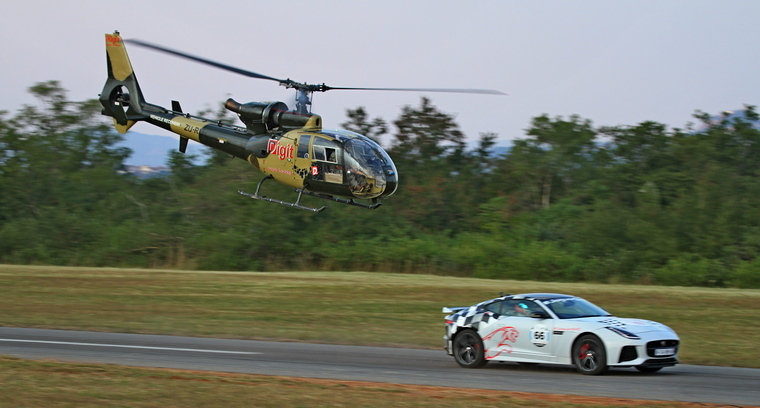 Commenting on the show's "Rock the Runway" theme Johan Heine, Chairman of the Lowveld Air Show said, "We believe that deep down inside, every one of us has a little rock 'n roll spirit in them. It's what we grew up with. And to combine that now with something as synonymous as fighter jets and helicopters, is a dream come true for young and old." 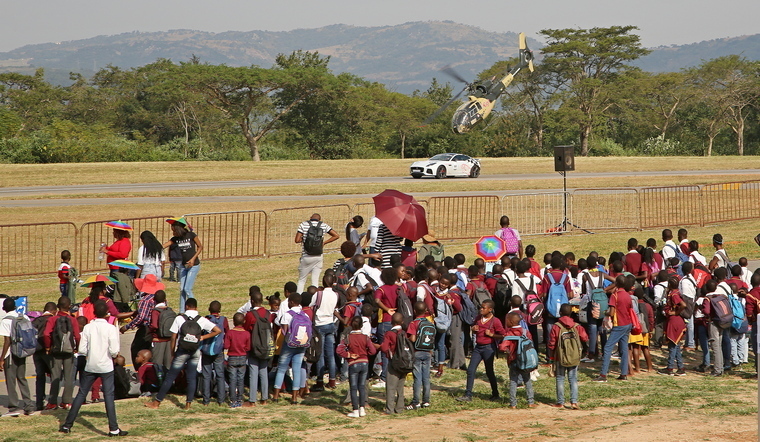 This year the air show organisers have again arranged the top of their class performers to showcase their talents at the Kishugu Lowveld Air Show. Add to that some novelty acts, great hospitality and superb organisation and you have the makings of a show that will be the talk of the town. 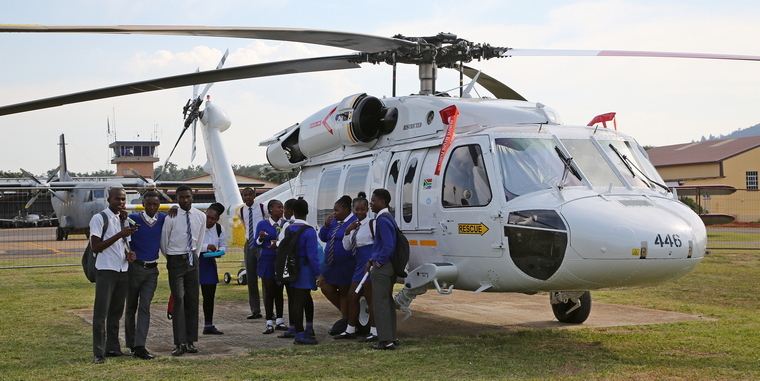 On Friday a large number of local school children were bussed to the field where a large number of static aircraft were parked and where various exhibitors tutored them on career opportunities in the aviation field. Forty of them were lucky to experience their first flight in the Just Love Mission's Antonov AN2 Little Annie who on the Saturday assisted with the dropping of skydivers and also thrilled the almost capacity crowd with a slow and stately display. 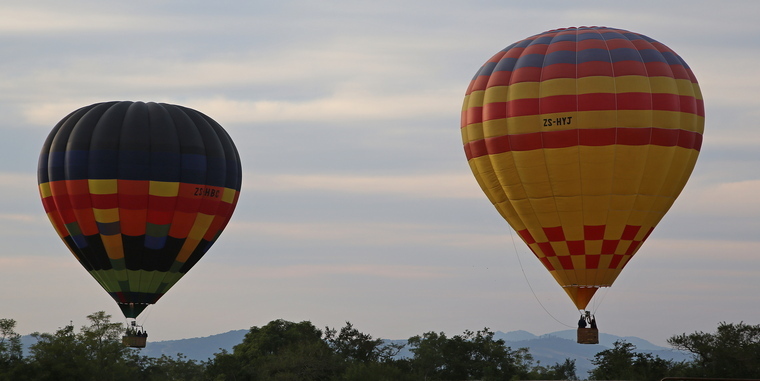 Kicking off the day early when the sky was filled by hot air balloons the air show was officially opened by revving engines of Harley Davidson motorbikes and fearless skydivers, followed by an entire day of nonstop action. 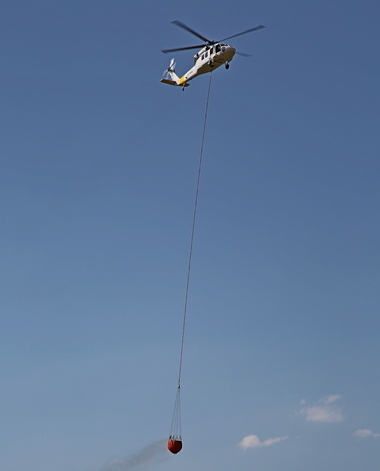 Kishugu Aviation is the air wing of Kishugu providing a wide range of specialist aircraft and highly skilled pilots to clients that require the services of a professional, independent aviation company. 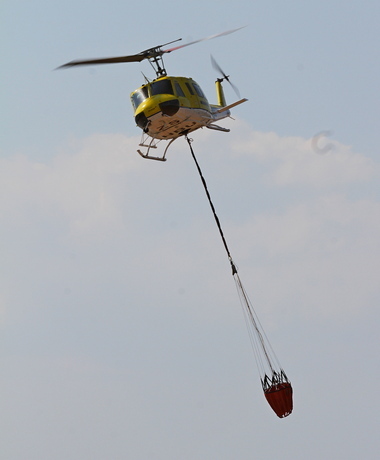 Kishugu Aviation, a registered Kishugu Holdings (PTY) Ltd company, is renowned for providing the aerial support to the South African Governments' Department of Environmental Affairs (Expanded Public Works) Working on Fire Programme (WOF). 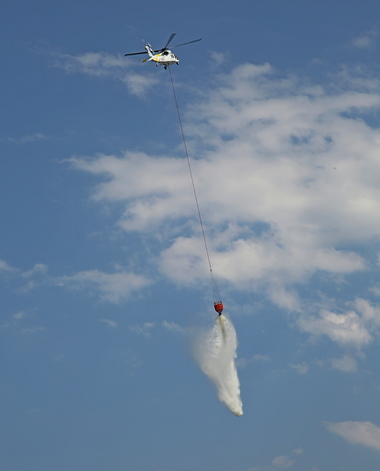 As was to be expected the show featured a number of the company's aircraft as well as a show first, the synchronised water bombing by four Airtractor AT802s and four Bell UH1 helicopters. 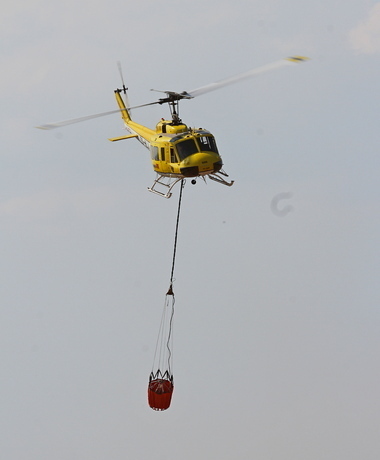 The first and so far the only Blackhawk helicopter imported by Mark Jackson of Leading Edge for firefighting work made its show debut at Nelspruit, flown by Captain Tosh Ross a SAA airline pilot with Mark's son Captain Peter Jackson. Accompanying them was Kirby Mc Ewen an ex USAAF military member and fully qualified Blackhawk engineer. Kirby served in Kuwait and Iraq and is involved in the training of others to operate the Blackhawk. The SAAF displayed a SAAB Gripen that flew from AFB Makhado as well as a CAASA 212 that dropped members of the Special Forces and others. 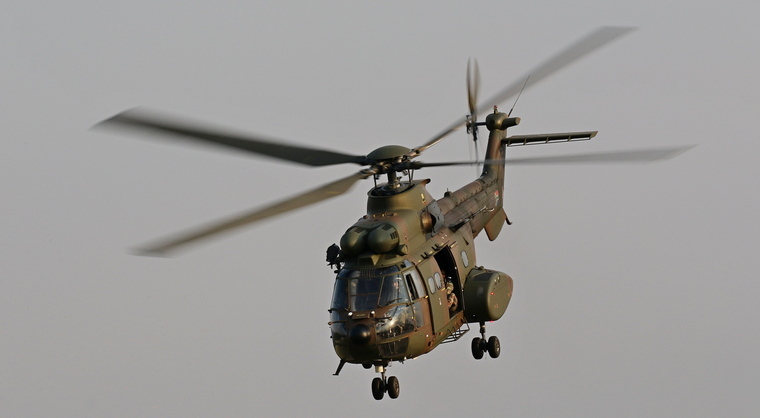 A Oryx that initially formed part of the static display but during late afternoon it did a brief display. The South African Police displayed their Pilatus Porter. An Airlink Embraer 190 that serves on the companies KMI route flown by Captain Jacques Henning chief pilot at Airlink and Captain Dean Nichols thrilled the crowd with a number of low slow and graceful passes as well as a simulated abandoned landing. Captain Ludolph Muller did the commentating during the display. Neville Ferreira, one of SA's top aerobatic display pilots flew his Slick 540 in its new photograph friendly colour scheme. Neville's tight high energy display never ceases to amaze. 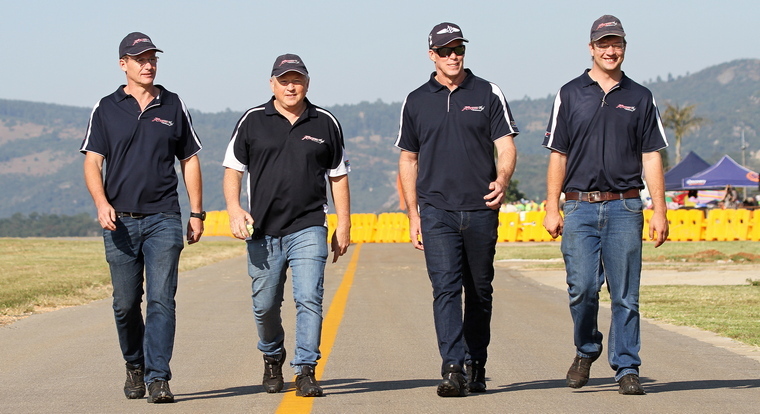 The Goodyear Pitts Specials brought three of the iconic biplanes to the Lowveld. 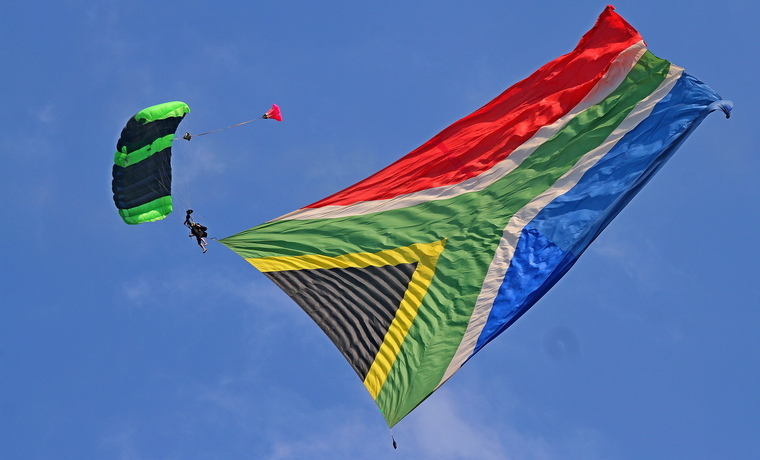 Flown by Nigel Hopkins with Johan van Solms and new member Jason Beamish, their brand of close formation flying has been crowd favourites for years. Without a doubt world class Team Extreme consisting of (from left to right Mark Sampson (ExtremeAir), Mark Hensman MX2), Nigel Hopkins (Extra 330SC) and Jason Beamish (Extra300) are without a doubt a world class team whose members have represented the country at various shows and competitions worldwide. 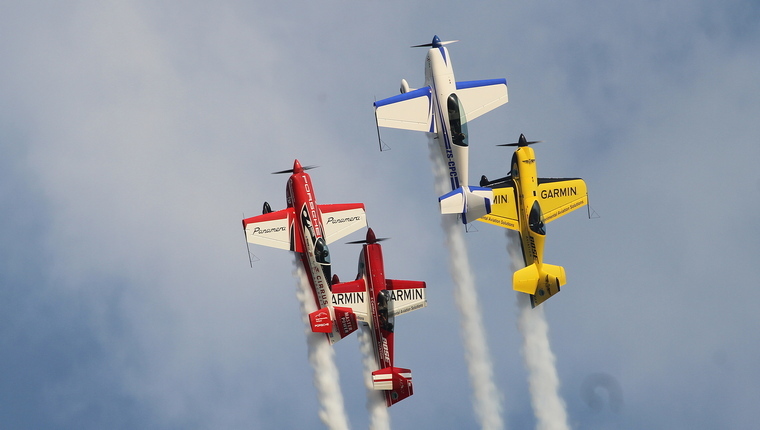 Their high performance, action packed show is even more remarkable considering that they use four different types of aerobatic aircraft. 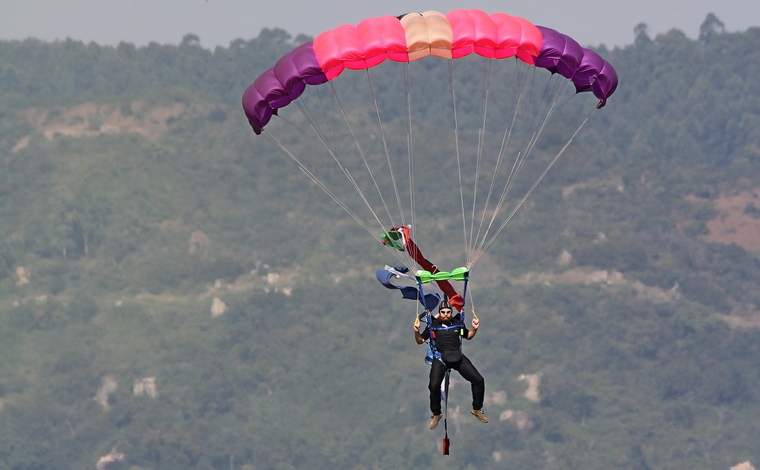 Lowvelder and Nelspruit resident Danie Terblanche showed that he is equally at home in a fixed and rotorwing. His Display in the turbine powered Robinson R66 was truly amazing. Later on he took to the sky in a Aviat Husky and had had everybody gasping at his antics. 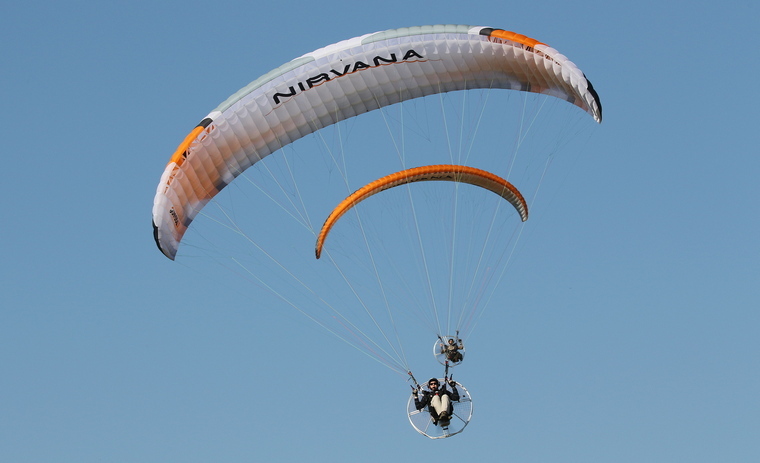 Powered parachutes are growing in popularity and at Nelspruit they showed that besides much fun they too are capable of formation flying. Ivan van der Schaar, a Comair Boeing 737-800 Captain who grew up and learned to fly in Nelspruit flew the 1946 Boeing Stearman in a graceful display over what was once his homefield. 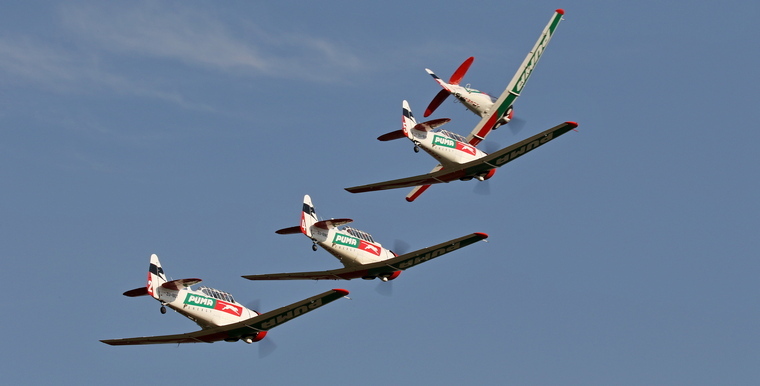 No show is complete without perineal airshow favourites the Puma Energy Flying Lion Harvards. 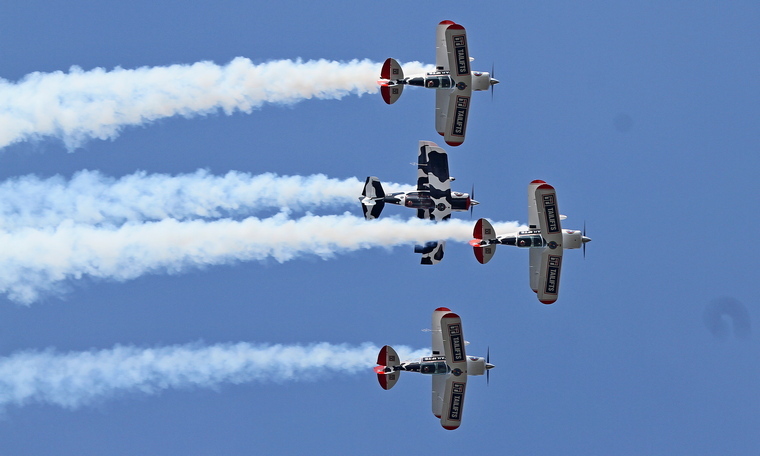 The Harvard has a soft spot in the hearts of most South Africans and the Flying Lions display of close formation aerobatics never ceases to amaze. The Harvards later performed their famous dusk show. Two members of the Lowveld Radio Control Club flew their aerobatic RC models in a wonderfully choreograph aerobatic sequence. Another first was a mass take off of all the formation display teams, with the exception of the Harvards. What a sight that was to see seven Pitts Specials as well as an Extra 330 SC and 300 as well as a MX2 and SBach all flying in formation. Now with sponsorship from Tailifts the Cows Pitts Special with Arnie Meneghelli, Scully and Ellis Levin and Sean Thackeray showed why formation displays by the diminutive wood and fabric biplanes are still rated as crowd favourites worldwide. 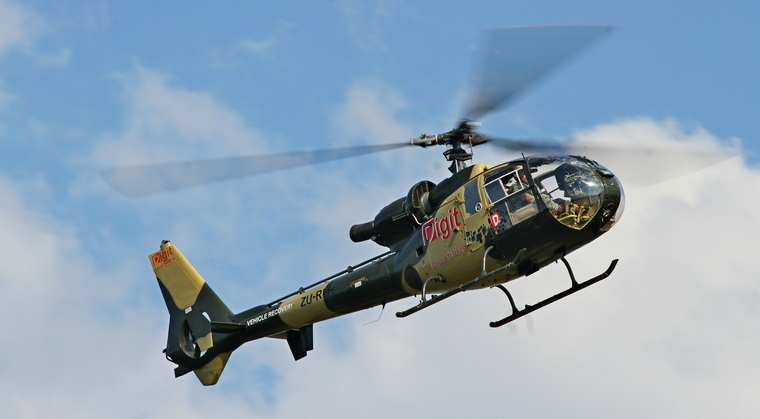 Johan "Juba" Joubert took the Gazelle aloft and showed why he is rated as one of the country's best rotorwing wing pilots. Juba later on raced a Jaguar F-type and a super charged Range Rover Sport in a relay race. 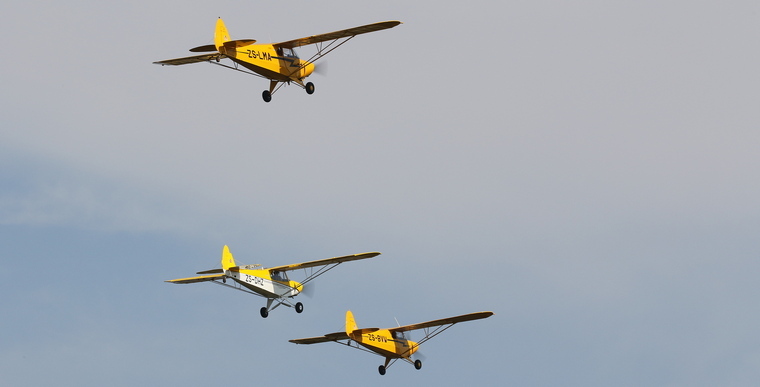 Two Piper Super Cruisers and a Super Cub flew a formation display whilst a Kitbox and Bathawk were put through their paces during solo displays. Some crowd scenes during with the Capital Sounds mobile studio in the background. 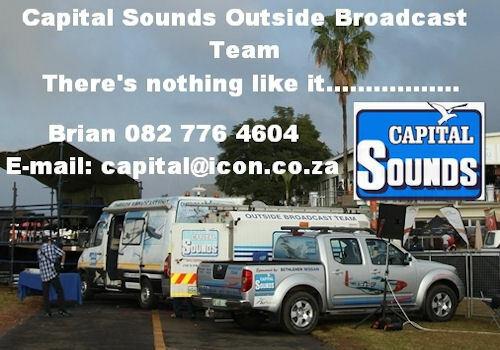 Present on the day to inform and entertain the crowd was Brain commentator Emmenis, researcher and commentator Leon du Plessis, producer Ricky Fouche and line technicians Phillip Smith, Elvis Maneni, Eric Nkomo and Wesley van Zyl. 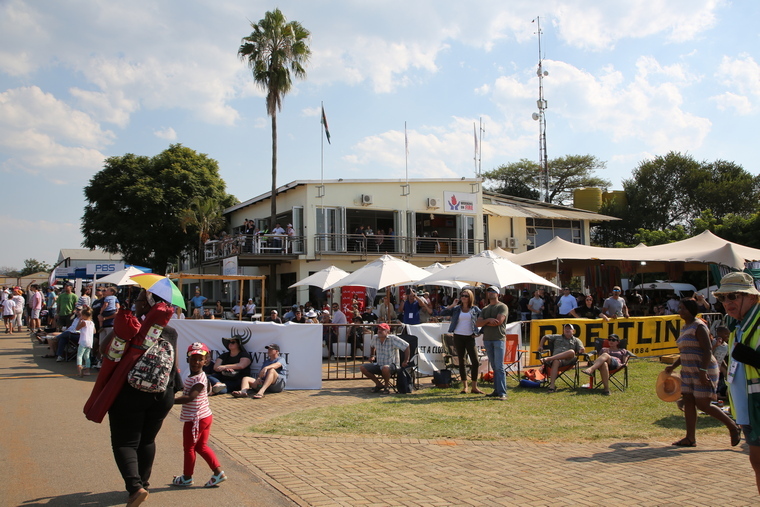 The Nelspruit Airfield offered a wide variety of vendors who sold delicious food as well as other exhibiters. Also featured was their biggest kids play area to date, hosted by the Just for Fun team, which is well known for kids entertainment at the annual Uplands Festival. Parents were delighted to know that they could let their children play in a safe, secure and fun area on the day. After the Harvards sunset display the stage on a flatbed truck with the musicians and their instruments already in place was manoeuvred onto the runway and lit for an electrifying rock and roll experience. 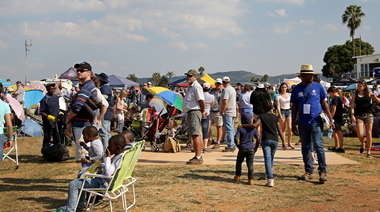 The Rock the Runway after party offered spectators the opportunity to enjoy the day further at the Lowveld Airfield. Main sponsors besides Kishugu were ABSA in partnership with Jaguar and KMI airport. Other sponsors were Lowvelder, 00.5FM, Emnotweni, Crossing Centre, Tops, Vodacam, Flightsure and Van Wettens Breakdown Services. Did the show live up to expectations? Definitely! 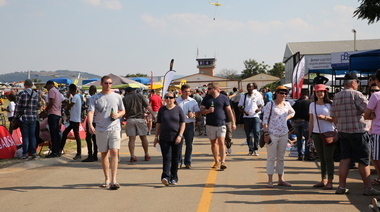 All the acts were of a high standard whilst it also featured a number of never seen before displays, a feature that has become a hallmark of the Kishugu Lowveld Air Show.